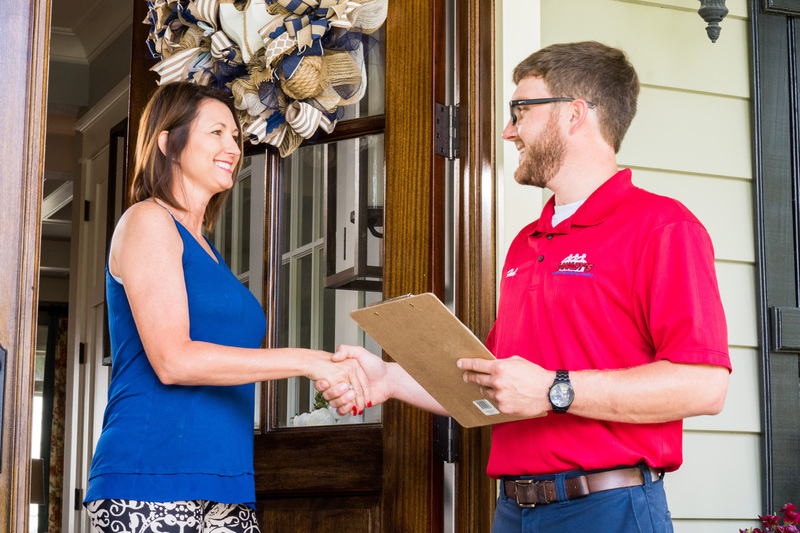 Canady’s has been providing the best air conditioning and heating repair services, indoor air quality products, and replacement systems to families and business in the Coastal Empire for over 30 years. Our standard operating hours are Monday – Friday 8:00 a.m. to 8:00 p.m. and Saturday 8:00 a.m. to 6:00 p.m.
Our technicians are on-call 24/7. “Right on Time Service” – Our dispatchers will call you about an hour before arrival which allows you to go about your normal day until we are on our way. Our trucks are completely stocked to ensure all repairs are completed durning the first visit. We currently accept all major credit cards and provide financing to qualified buyers. Our employees demonstrate the highest quality of customer service with honesty and integrity. We’ll email an introduction of your technician, including a photo prior to arrival at your home. Our “National Standard Pricing” ensures you will never over pay for any repairs. To protect your home from stains or damage, our technicians use floor and shoe coverings as well as surgical gloves. All repairs are approved by each customer prior to any work being performed. Our technicians are “NATE” certified, which ranks them as the top 10% in the country. Managers are “ALWAYS” available for our customers. Our Customer Promise – “Treat customers the way you would expect others to treat you and continuously keep the customer’s best interest in mind”. Our technicians explain the summary of findings with our customers during each visit that includes needed repairs and pricing. Customer Satisfaction phone call after every visit. Canady’s is dedicated to providing our clients with world class products and services. Our continuing education of our high integrity team members allow us to be experts in all areas of residential and commercial HVAC. Our Experts hold the following Licenses and Accreditation.